Die Data Miner der Internetseite „wowhead“ konnten in den Spieldaten des gestern Abend auf den öffentlichen Testserver von Patch 7.3 aufgespielten Builds 24500 unter anderem eine Vielzahl von neuen Dialogen ausfindig machen, die für die innerhalb dieses Content Updates auftauchenden NPCs bestimmt sind. Auch wenn diese verschiedenen Dialoge keine komplette Geschichte erzählen und nur einen recht einseitigen Blickwinkel zulassen, so können daran interessierte Spieler durch diese Texte aber dennoch bereits ungefähr erfahren, wie die Story von Patch 7.3 abläuft und was für wichtige Ereignisse auf die Helden von Azeroth zukommen werden. Besonders interessant sind dabei dann die Dialoge aus dem Schlachtzug „Antorus, der Brennende Thron“, deren äußerst informative Texte schon jetzt enthüllen, wie genau die letzte Szene in diesem Raid abläuft, was mit den Titanen passiert und wie der Plan von Sargeras aussieht. Wer sich die kompletten englischen Dialoge nicht selbst durchlesen möchte, der findet weiter unten in diesem Artikel auch noch eine übersichtliche Zusammenfassung der wichtigsten Dialoge. Magni Bronzebart wird ebenfalls nach Argus reisen und dort die gequälte Stimme der Weltenseele von Argus hören. Sargeras will die Weltenseele von Argus dazu verwenden, um die Seelen der Titanen zu verderben und sein eigens Pantheon zu erschaffen. 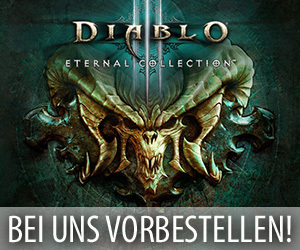 Sargeras hat den getöteten Titanen Aggramar wiederbelebt und auf seine Seite gezogen. Aggramar sucht die Seele von Eonar, die sich scheinbar als einziger Titan vor Sargeras verstecken konnte. Die Helden von Azeroth reisen zu dem Versteck von Eonar und beschützen sie vor den Truppen der Legion und dem Angriff von Aggramar. Die Seelen der restlichen Titanen können mit der Hilfe von Eonar ebenfalls befreit werden. Während Aggramar seinen eigenen Encounter erhält, so werden Khaz’goroth‘, Norgannon, Golganneth und Aman’thul‘ gemeinsam aus den Händen der Shivarra gerettet. Sargeras verwenden die Weltenseele von Argus dafür, um die brennende Legion mit Energie zu versorgen. 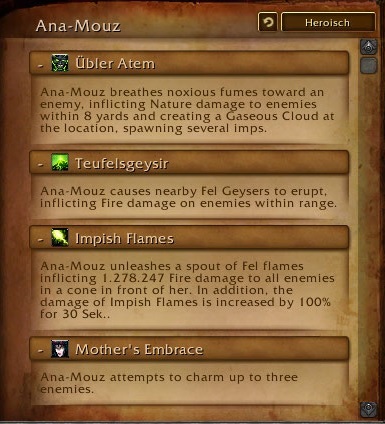 Die Titanen versuchen, Sargeras mit der Macht von Argus einzusperren. Leider scheitert ihr erster Versuch und Argus wird geschwächt. Am Ende müssen die Titanen die letzte Energie von Argus und ihre gesamte eigene Macht dafür nutzen, um sich selbst und Sargeras im Sitz des Pantheons einzusperren (Bild). Illidan fungiert als Wärter von Sargeras und wird über alle Ewigkeit über dieses Gefängnis wachen. Der Sieg über die brennende Legion erfordert Opfer. Die Titanen bitten die Helden darum, ihre eigene Welt vor allen Gefahren zu beschützen. 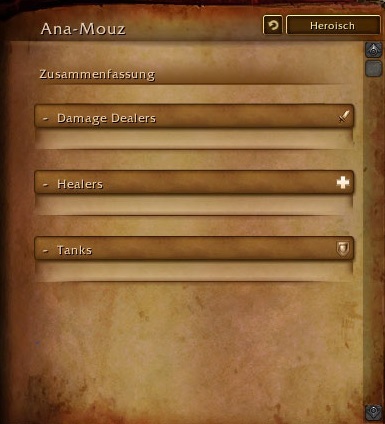 Bei Azeroth handelt es sich um den letzten Titanen. Am Ende erhalten wir die Bestätigung, dass die Legion besiegt wurde und ihr brennender Kreuzzug vorbei ist. It’s Eonar, the Life-Binder! This portal leads ta her sanctuary. Go. I’ll stay here and cover yer backs! So be it. We will do all we can to ensure Eonar does not fall like the others. I only hope we are not too late. This soul fragment calls ta me again, but somethin’s different this time. It ain’t Argus speakin‘. It’s… another. The Life-Binder! Somehow, she’s the key to Sargeras’s plan. We must find her soul. I just don’t know how. The Paraxis warps in. Prepare to defend Eonar! Welcome, mortals, to my sanctuary. For countless ages my spirit has lingered here, safe from the Dark Titan’s grasp. But he has found me at last, and comes to claim my power. I implore you, stand with me. Together we can drive back this onslaught and deprive Sargeras of victory. Time grows short. The enemy closes in. Approach me and stand ready, my children. The final battle is at hand. The titan soul of Argus is the key to breaking the Legion. Our defenses must hold long enough to destroy it… or Sargeras wins. Perhaps this world’s past can aid us. I will scour my memory for what may yet remain. Ye did it! Aggramar’s essence is free! He can stand beside his brethren once more. The very cradle of creation! The titans can sever that connection… but not here. They need ta bring the soul o‘ Argus ta their place o‘ power… the Seat o‘ the Pantheon. Our victories mean nothing. So long as Sargeras has the soul of Argus to fuel his infinite army, Azeroth remains in grave peril. Their final act will harness the last o‘ Argus’s power, to imprison Sargeras… once and for all. Heroes, I can signal the titans ta begin. Once they start their ritual… there’s no turnin back! The tortured soul of Argus has been put to rest. It matters not. We have lost. Look to the skies! Sargeras will soon undo all we have fought for. We will use the last glimmer of Argus’s power to bind him here. 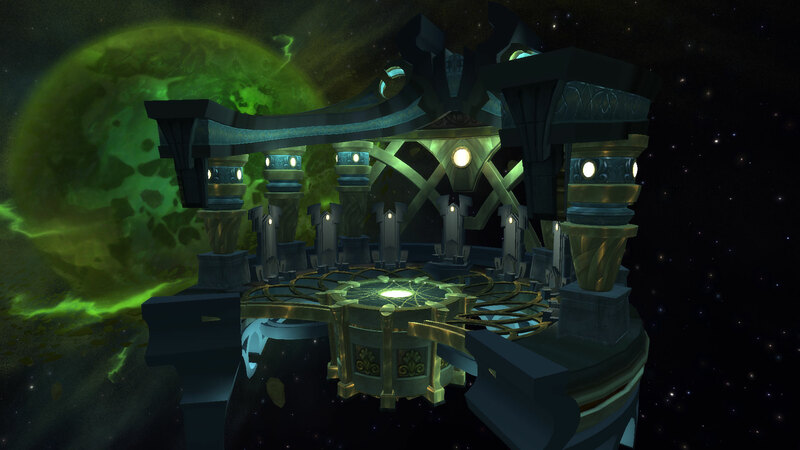 The Seat of the Pantheon shall become Sargeras’s prison… and ours as well. You would condemn yourselves to stop him? Our world must survive… no matter the cost! Return home, children of Azeroth. Protect the final titan. Prophet… what happened out there? Illidan serves as the Dark Titan’s jailer. His sacrifice has ended the Legion. At long last, the Burning Crusade…is over. The stone’s whispers steady my people’s hearts. It is curious that you hear them as well, outsider. When Azeroth’s spirit speaks ta me, it’s like a song. There’s beauty in it, even when her message ain’t exactly clear. Argus’s soul ain’t like that. He’s tormented…broken. Careful, or his pain’ll overwhelm ye! Somethin‘ ain’t right with this place. A presence calls ta me from somewhere deep inside the earth. It’s fainter than the breath o‘ the wind, but it feels so familiar ta me. It’s like Azeroth’s call, only… it ain’t her. May the Light hasten you to Magni. I hope he has good news. The short one of diamonds awaits you in the stone’s resting chamber. He is… distressed. I feel Argus’s soul callin‘ ta me again. He’s frantic, desperate… and sad, so bloody sad. It breaks me heart! Place yer hand upon the stone when yer ready. The stone thrums with energy. Sargeras is building some kind o‘ Dark Pantheon! We gotta find Eonar’s spirit before Aggramar does! Khaz’goroth’s will is bein‘ twisted. He can’t control his flame! They’re tearin Norgannon’s mind ta pieces! Golganneth… he’s lost in a storm o‘ agony! They’re usin‘ Aman’thul’s mastery o‘ time against ye! Aggramar! The fallen titan now serves Sargeras! This is bad… VERY bad! The souls of the Pantheon are free, but they endured so much sufferin‘. Let me bide with ‚em fer a time. Offer a bit o‘ comfort. So much agony here… so many voices. It’s… it’s nearly overwhelmin‘! But I can feel Eonar urgin‘ us forward. I feel those demons twistin‘ the spirits o‘ the titans! Forcin‘ ‚em ta use their might ta serve the Legion! Should they fall to darkness, Sargeras will have the power he needs to claim the final titan. If Sargeras breaks them as he did Aggramar, no power in this universe will stop him. So what Magni saw was true. Aggramar lives once more… in the service of Sargeras. What is your bidding, master? The circle nears completion. The mortals must not disrupt the rebirth. Those who will not serve shall be destroyed. It is the only way. Become the instrument of my wrath once again, Aggramar. End this incursion of the Light. The hour of rebirth draws near. Are the souls prepared? Our kin still resist the true path, master. But they will soon be broken. One still eludes us. Her essence is needed to ensure the victory of my crusade. The Life-Binder will soon reveal herself. She will not escape me, master! Soon comes the awakening of my brother, Argus. Together, our new Pantheon will join the master in breaking your fetid world. But you will not live to see it. When my new Pantheon rises, no power in the universe will stand against the Legion! I remember the awakening… how life sprang forth all around us. I remember unity… until it was shattered by betrayal. I remember fleeing… to keep him from his prize. The time for hiding is over. Aid me… or everything ends. I am the chill running down your spine. I can’t wait to hear your flesh sizzle. You cannot escape the shadows. Your corpses will be frozen in eternal agony. There is no light that can pierce my shadow. Once it is complete, this crucible will be able focus the fundamental forces of the cosmos into your weapon! Just… not yet. The Light does not die with the Prime Naaru. It shines within each of us! We still have our purpose. We still have a world to save. We must press on! We must continue our mission. The Legion must be destroyed. It is nearly complete, but it lacks a power source. We need something quite potent indeed. The Light still shines within me. Within you all. We will triumph! Not to worry, there is still great power on Argus‘ shattered surface. We just need to find it! You are right, Prophet. The mission still stands. Though her form has shattered, her Light has not left us. Not yet. No more! The matter is done. Our mission remains, with or without the Light Mother. Her Light can not be allowed to fall into darkness. We must safeguard what we can within the crucible. The Light burns brightly within the crucible, but it is still not functional! The Light and Shadow depend upon one another. If we hone the power of a great being of shadow, the crucible may be complete! Her long years of service to the Light will not be in vain! We cannot let this loss stop us. Light’s Judgment is the key to our victory. With the crucible fully functional, our weapons will shine like the stars themselves! Come, I will show you. Such potential here, but all of it wasted on a doomed crusade. Can you taste it on the air? The sweet nectar of madness? Mmm… this place is swollen with it. This one shows promise. The whispers lure her toward her fate. The caterpillar has become the butterfly. She is all but ours now. He flaunts his defiance of the shadows. Arrogance will be his undoing. Watch now as a weak mind gives way to darkness. While I relish a healthy lust for power, this one fumbles for it like an amateur. Now this is true beauty! At least one of the mortals in your midst can appreciate what it offers. So much effort, so much bluster, only to delay the inevitable victory of their betters. What a disappointment. He squandered his potential by backing the wrong side. These pretenders play at whispering madness. Amateurs! I should demonstrate proper technique. This one would make an excellent champion for our cause. Perhaps he can yet be turned. Long have we sought entry to this realm! To think we have a mortal to thank for giving us our foothold. Your service will be remembered! So, your Alliance still endures. Longer than I expected, though she has already planted the seeds of its downfall. She is patient, that one. When your thrones run red with betrayal… when your holy places burn and the shattered mask hangs above your hearth… only then you will know. And it will be too late. How did a being of the Light become a creature of Shadow? The Void is a force of change… of transformation. Shadows are fluid, ever shifting. I feel the fallen naaru’s power. It beckons me. You stand on the cusp of destiny, Alleria. There will be choices to make… and consequences to face. Even defeated, the darkened naaru surges with power. I hear the shadows calling to me. Claim its essence, Alleria Windrunner. Make its chaos your own. You survived… interesting! How do you feel? The voices are louder now. More insistent. But they do not control me. You asked me to teach you to use the Void as a weapon. Now that weapon is you. It seems my training is complete. Let’s not get ahead of ourselves. We need to test the limits of this newfound power. Come. I serve the end of all things. I return to the Void. I would have words with you, Huntmaster. Vereesa told me you accompanied her on the mission to Niskara. That you risked your own life to rescue me, and prevented her from falling into the inquisitor’s trap. It is clear you wield Thas’dorah with skill and finesse. You bring honor to the bow and to the memory of those who carried it before you. There may come a day when I will have need of my family weapon once again. But for now, at least, I have a different path to follow. Hold Thas’dorah proudly, champion. Know that you have proven worthy of it. It is good to see you again, my friends. When I couldn’t find you after the devastation of Draenor, I wasn’t sure what to think. We feared for you as well, Khadgar. But I think part of me knew it would take more than the explosion of a planet to slow you down. Kurdran and Danath are safe as well? Indeed, though I don’t get to see them as often as I’d like. When this is all behind us, perhaps the Sons of Lothar should share a reunion feast! I agree. It’s been a long time, but as I recall it was your turn to buy the drinks Khadgar. Definitely your turn. Never question an elf’s memory… even after a thousand years. No doubt my mother will soon ask about Sylvanas. What are you going to tell her? It is a conversation I know we must have, but the thought of it fills me with dread. How can I explain to Alleria what our sister has become? The truth will break her heart. I must know, Vereesa. What fate befell our sister? Impossible! I refuse to believe she now leads the Horde. Not after all they did to our people during the war. Sisters are complicated. Especially the undead ones. Talgath has turned against us! It cannot end like this. Take the others and go, Prophet. We will buy you time. Hatuun, no! You do not have to do this! Please… keep my family safe. I will hunt you across the stars, traitor! Even if it takes a thousand years! Swear loyalty to me, pledge the hearts of your people to my cause. I will transform you, granting you knowledge beyond imagining and might beyond measure. Together, we will become Legion, and defeat the hungering void that would consume us all. It is little enough to ask, for what he offers us. Such power… And he speaks the truth. I had hoped the others would sense the darkness behind Sargeras’s words. But they were blinded by their vanity… their hunger for power. The atamal crystal soon showed me the horrible truth of what would come to pass if we accepted the titan’s offer. We would be transformed not into wise leaders, but into hateful monsters. Oh, how Kil’jaeden mourned for you! Do you know how deeply your departure wounded him? I lost a beloved brother that day as well. You did not lose him. You gave it up–all of it! Your people, your planet… even your family! I have not forgotten your betrayal! I only hoped they would give you a reason to stay. How cold of you, leaving without your mate and child. Silence! You dare speak of them! Struck a nerve, did I? Sheet-sah, you hide behind your allies… as usual. Tremble before the true might of the Legion! That world of yours hanging in the sky… is doomed! Argus will be your tomb. The true power of the fel courses through me! You were foolish to come here! Your pathetic resistance ends here! Was this… the vision he saw? I told him of my plan to leave Argus. I asked him to bring my family and join me. Instead, he went to Kil’jaeden. My people will never know how I mourned for them… the depths of my regret. As Argus grew smaller and smaller in the distance, I begged the naaru to go back. „That is not your path,“ they told me. Is this what they intended? Find the Prophet! Slaughter his allies! Mark my words! Velen must not escape! Leave no stone unturned. Find him! Failure will be rewarded with torment! The Prophet must not escape! The eyes of Antorus are upon you. Find the Prophet or suffer the consequences! Before you are remnants of memories past, echoes of what our people were before the Dark Titan came. When one of our kind breaks away from the Legion’s grasp, sometimes they return with a memento of our old way of life. These relics symbolize all we have lost… and serve as a reminder of what we fight for. I have given our plight much thought. As it currently stands, we will be destroyed if we challenge Antorus. There is one hope, one treasure that may give us the edge we need. We called it the Crown of the Triumvirate. A lifetime ago, my brothers and I crafted a relic designed to bring prosperity to all. The beacon hums with energy. Return to the entrance. Return to the entrance. I still possess a third of the whole. I carry it with me always. This is the Eye of Prophecy. The remaining fragments may still be here, on Argus. We must go to Mac’Aree where my brothers and I once ruled. Antorus will know your screams! Witness the might of the Burning Throne! You think you can defeat us? Here? Hah! I want to see your limbs roasting! You look so vulnerable, trembling in the dark. Conservatory resources are not available to one of your… status. Of all people to become Gatekeeper… $n, perhaps you had better do the talking. The Sigil is the Conservatory’s highest honor. Only Archimonde’s chosen may pursue this accolade. I am obligated to inform you that the master created trials specifically for this purpose. I am also required to allow the uninitiated to participate. Quoram and I have… a history. Let it suffice to say that I did not depart the Conservatory on the best terms. <Y’mera handles the Sigil warily.>I feel very exposed, holding such a relic. I have devised a modification on a previous trial. Should you be equal to the challenge, you may once again prove your cunning. Hmph. I was certain you would not complete the trial this time. I must, per the rules, acknowledge your success. Congratulations. Panthara are feasting on Conservatory spirits. Bring me samples of their scales. Perhaps I can devise a deterrent. Fascinating! Their scales are covered in mana-sensitive particulate. I am certain we can find a use for this knowledge. You are overdue for remedial lessons. Report to the Hall of Enlightenment for an exam. I will allow you to retain your credentials. For now. There are many unanswered questions about the spirits lingering in this place. Why do they stay? What makes them rebuff our presence? Perhaps studying their essences will yield an answer. I will not waste this opportunity to learn from my former peers. Thank you for your help. Archimonde was disdainful of the Sigil’s limitations. Without the rest of the Crown, it gave him little power. And power was all he ever craved. This disdain is what allowed us to recover the Sigil. Had he anticipated its value to us, he most certainly would have destroyed it. I do wonder what he hoped to prove with his trials. Was the Sigil itself the test, perhaps? Such a disappointment it might be, to most. We are one step closer to unlocking the Vindicaar’s true potential. All that remains is the Crest of Knowledge. Then the Crown will once more be whole. 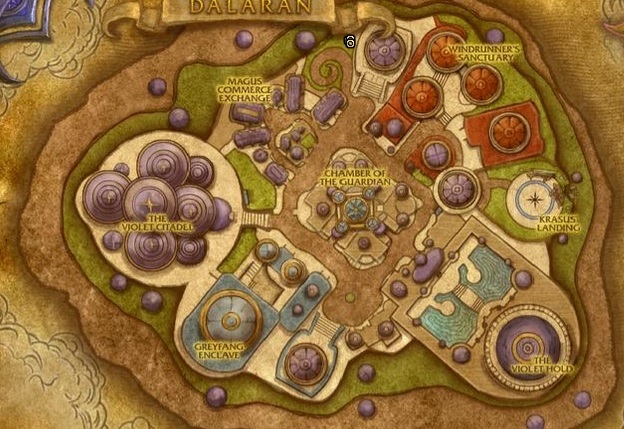 In my entire lifetime, I never left the borders of Suramar. To see this place is to understand the fate that almost befell my people. And nearly mine as well. The sin’dorei also had a leader who struck a bargain with the Legion, poisoning us in the process. An unbridled thirst for power is the most terrible corruption of all. How did your people find their path forward? We banded together to fight for our place on Azeroth. And we realized we needed allies to stand with us. And has the Horde served that purpose for you? It has. Make no mistake, ours has not been an easy road, and we have struggled through dark times. But together we face a world that has often turned its back on us. Together, we find strength. A valuable perspective, Lady Liadrin. You have given me much to ponder. The Legion brazenly advances on worlds beyond Argus, spreading its forces thin. Find their portals and kill the demons on the other side! The Legion’s arrogance is clear. Pursue them to every world they infest. Show them that they cannot escape our wrath. A new invasion point harbors a Legion commander. Go and deliver vengeance! The Legion’s fanatical crusade falters. We will purge their stench from every world they have defiled. It is as I thought… the stone is depleted, but intact. It shall still prove useful to us. Even as we march upon the heart of Argus, the Legion continues its crusade on other worlds. We will punish their hubris by hunting them any place they dare to tread. Use the keystone to pass through the rift. Bring the fight to the Legion! The demons will be caught off guard, assuming all our attention to be focused on Argus. Show them the price of their arrogance! The keystone continues to gain strength. Interesting… Perhaps we can use it to tear open more powerful rifts. The Legion’s hold will be broken at every turn! Do not let them rest! Do not relent! The Legion’s grip on this land must be broken. Now is our time! Push back against the darkness! An insidious champion of darkness draws near. Strike it down! This villain profanes the homeworld I lost so long ago. Put an end to this atrocity! An agent of the Dark Titan rises to attack. Strike first! Strike true! Just when the Light gains a foothold here, another vessel of evil rises to battle us. Your might is needed once again, champion. A disciple of Kil’jaeden seeks to avenge its master. Be ready for its assault! I sense a foul presence… an evil that seeks to blot out the Light. Take up arms and bring down this foe! The air hangs heavy with fel corruption. Bring down this vile aberration! We can never reclaim what we once had, but we will make them pay for what they did to Argus. We may be vastly outnumbered, but the Light is with us. Victory will yet be ours! Never doubt that, in the end, the Light will emerge victorious. In the name of all the noble souls lost here to the Legion, I thank you. With every such foe you bring down, our ultimate victory draws nearer. Sargeras took so much from my world. Now it is his turn to lose! Though the Legion is relentless, the demons cannot outlast the Light. Word of your victory will spread across Argus. Those who cling to the memory of the Deceiver are doomed to fall! The Light cannot win unless we fight for it. You have done your part this day, champion. Every demon that walks this world is a perversion of the Argus that was. You struck a blow for the Light this day. Demon filth pervades this broken land. Take no prisoners. Strike down every fiend you see! Demons everywhere. Go. Fight. Spare none of them. The Legion believes itself entrenched on Argus. Untouchable. Reward their arrogance with suffering! Another champion of the Legion is near. End its existence. A brutish fiend looms just ahead. Send it back to the hell that spawned it. The demons rally around a brutish menace. Teach them that their faith is misplaced. Another demon champion boasts and blusters. Silence its cacophony. Be on your guard. A threat looms, thirsty for mortal blood. 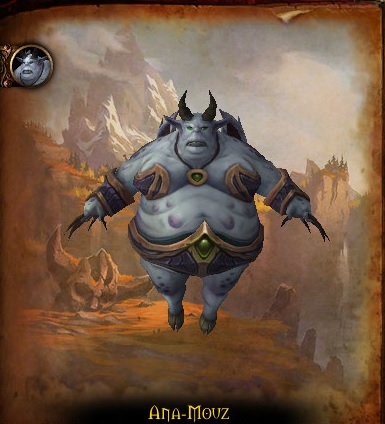 This demon looks to rise within the Legion’s ranks by ending our invasion. Demonstrate its folly. Behold, a vile menace eager to prove its might. Put an end to its ambitions.